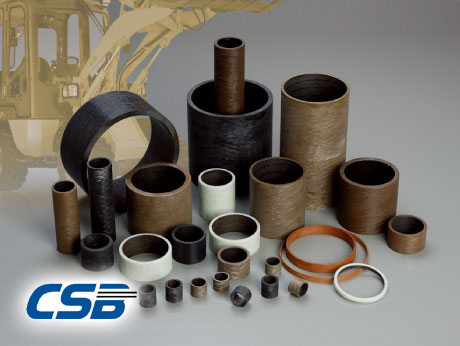 The backing of CSB-CR series material is high strength glass fiber with epoxy resin and the lubricating layer of it is PTFE wound fiber or special lubricating fiber. 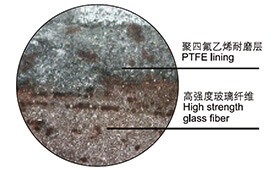 Therefore, this special structure performs an outstanding anti-wear feature and low friction coefficient under high load and low speed condition. Furthermore, this absolutely new idea gives better solution for high load and excellent wear resistance under dry condition possibility. 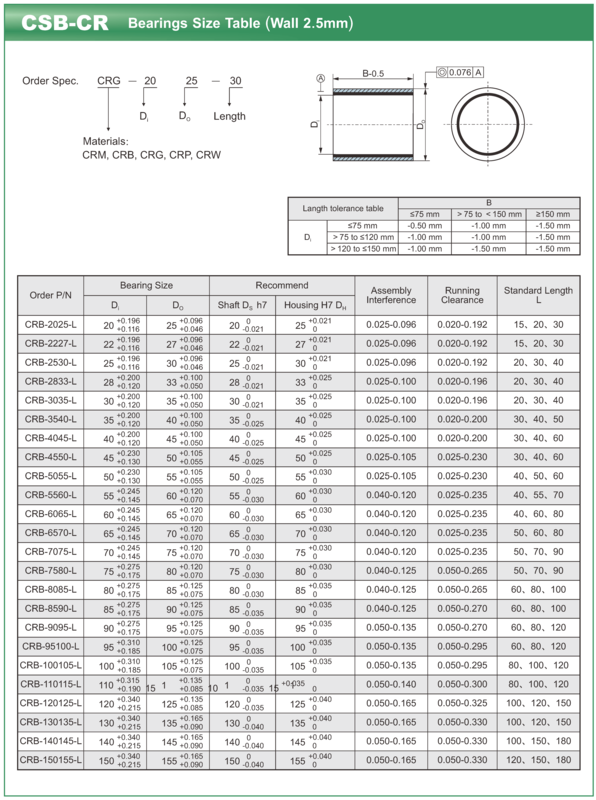 With the excellent features above mentioned, CSB-CR series filament wound composite bearings could be widely used to the frequently start and stop positions with rotating, oscillating and linear motions. The application of this new material is more popular than that of the previously developed engineering plastic bushings (EPB series).